Of the issues that are most important in Christianity, there is one that overshadows, engulfs and trumps them all. It is the one issue that can truly be called the “issue of issues” in Christianity—the truth and authority of the Bible. As Christianity’s enemies have long recognized, this is the place upon which all the “lines in the sand” converge to draw the ultimate battle line. Give way on this, and all the other issues become irrelevant, as will be shown. Maybe you think some other issue is more important. You know, that doctrine. I don’t know which one it is (or even if there is one) for you. But you may feel it is one that would save the day for Christianity, if only other Christians could understand its importance as you do. 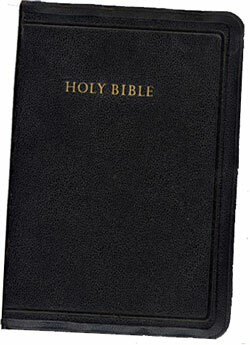 Isn’t it true that even this doctrine (whichever it is) first of all depends on the truth and authority of the Bible? It may not be instantly obvious, but if you allow for a moment that the Bible is not totally true and trustworthy, then suddenly nothing else in Christianity matters. At this point, many would understandably respond with something like, “But surely, the only ultimate issue is not a book, it has to be Jesus Christ.” Well, yes—but then the question is, “what/who do you mean by that?” Those two words are not just collections of letters floating in some existentialist semantic space, communicating nothing. The love, commitment and worship given by so many Christians is because they believe that these two words have real content and meaning. So questions like, Who is He? Why did he come? need to have real, meaningful answers. But if the answers can only be those drawn from the subjective (and ultimately untrustworthy) well of personal experience, we may as well substitute “Buddha”, or “the Universe”—or even “the three-horned cosmic cow”—for the name of our Lord. Even when we call Him “Saviour”, it means little to the hearer without a huge amount of background content. This content, which we often take for granted, answers such questions as, Who needs saving? From what? How? Why? However, the only source for unchanging answers to those questions—and any others about Jesus Christ, such as who He is and what claims He makes on the life of every person—is found in the Bible. So when we say, “I believe in Jesus Christ”, such a declaration of faith is void of meaningful, objective content unless there is an implicit reliance on the truth and authority of the Bible. The two go together; to be authoritative, it first of all has to be true. And if true, it automatically derives its authority from what the Bible claims about itself. Isn’t it true that any Christian doctrine first of all depends on the truth and authority of the Bible? Many, while still prepared to go to the Bible for answers on various issues, question whether it has to be totally true. Surely, they say, it would not matter too much if some tiny part of this weighty book turns out to be unreliable, untrue or in error? Can’t the Bible be like the river that brings down nuggets of pure gold, while the river itself is just a muddy, uncertain stream? The problem with that is, who decides what is true and what is not? Which part is river and which gold? The Bible would be little more than a supermarket of ideas on offer, with us free to purchase only those that suited us, ignoring the rest. If you concede that there is only 0.0001% error in the Bible1 as originally revealed to mankind,2 you have opened up the floodgates. Logically there is no stopping point to the slippery slope, because there is no reason why someone else could not suppose it contains 0.0002% mistakes, or 2%—or 20%, for that matter. In fact, it could be 99% mistakes, and 1% truth—who is to decide? Perhaps you believe that God is love. Why? Because the Bible says so? But if it contains mistakes, why couldn’t that part be one of the mistakes? Who is to say otherwise? This applies to even the great issues of agape love, including compassion and aid to the sick and poor. If you concede that the Bible might contain error, who is then to say that the recorded examples of Christ commanding or doing such things are not erroneous reports? The great accounts of past missionaries risking all in hostile lands would not likely have happened if those concerned had accepted the idea that the Bible might contain error. Once Christians cease presupposing that God’s Word to mankind is infallible (with all due regard for minor transmission or translation error and human fallibility in interpretation), the whole plot unravels, and the entire game is lost, even if we don’t realize it yet. Christianity loses any semblance of its claim to being the truth behind the cosmos, and is at best just “a truth” in some fuzzy postmodern sense. Now one can disagree (hopefully with gracious respect) with other believers over the meaning of certain parts of the Bible. (Even Peter said that Paul’s writings contained “some things hard to be understood”—2 Peter 3:16.) But when we do so, there is an unspoken mutual agreement that it is possible to find real, objective truth in the words of Scripture. And this means that we presuppose that God has reliably and truthfully revealed Himself in the Bible. Otherwise, there would be little point in even discussing what a particular passage teaches. But with the bulk of Christendom today unsure that we can trust the Bible’s history, such internal skirmishes start to take on a lesser significance compared to this crucial issue of the truth and authority of the Bible. Well before the turn of last century, a number of Christian luminaries were correctly referring to the “battle for the Bible” (meaning for its truth and authority). They recognized that if that is lost, all else is ultimately meaningless. If anything, that war has hotted up substantially this century. In this struggle of cosmic significance, there is one crucial battlefront, the one area in which the Bible is attacked more than any other—the first eleven chapters of Genesis. This is perhaps the most straightforward, easy-to-understand portion of Scripture, and is referred to more often than any other by Jesus Himself and the NT writers.3 Even though they take it as straightforward history,4 and all the normal rules of historical-grammatical interpretation confirm that this is what it is, its historicity is continually under attack like no other historical section of the Bible—mocked, evaded, discredited, or allegorized out of recognition, including by many who claim His name. Nearly all opposition to Genesis history occurs in the name of science, something we understandably associate with undeniable “facts”, things that work and are real. The irony is that when trying to point out how strongly coherent the facts of the real world are with Genesis creation, it is often easier when dealing with someone well trained in science (and, preferably, logic and the philosophy of science). Those with just a lay understanding are more likely to rely upon their “gut impressions”, which are strongly conditioned by the culture. “Science” enabled rockets to the moon, so if “science says” the world was created over millions of years rather than six days, who are they to consider the matter further? Especially if their church’s leadership has already told them it is a “side issue”, or has otherwise shown its displeasure. For over a century now, the church has to a large degree backed away from where this battle rages. Even before Darwin, as our film The Voyage that Shook the World documents, the church in England had largely compromised with millions of years of uniformitarian geology. So it is no surprise to see the forces arrayed against historic, biblical Christianity, both inside and outside “the camp”, emboldened as never before. In addition to old-fashioned liberal theology, we now see the amorphous “emergent church”, with much the same arguments, trying to hold onto the forms of godliness while evading and blurring the issues that give the Gospel its life-transforming power. The atheist movement, encouraged by much of the media, has gone from occasional sniping to a frontal assault on all forms of Christian belief that have the slightest whiff of anything supernatural. At the same time, we see a resurgent Islam. Ideologically strong because it mostly totally believes its own book, it lays claim to niches abandoned by the ideologically weakened church, filling vacuums created by the church’s retreat. In the past, preachers and evangelists could expect that their unbelieving audiences would at least share a general respect for the pronouncements of the Bible, and the absolute authority of at least its moral commandments; but no longer. After all, the public constantly gets the message that the “facts of science” plainly contradict the Bible. And if leading church spokesmen are frequently seen distancing themselves from what the Bible says about history, thus undermining its truth and authority, how can we be surprised if the culture increasingly distances itself from what the Bible says about morality (cf. Jesus’ comment to Nicodemus in John 3:12)? Most of the modern world believes that we are just reorganized pond scum that has emerged via the animal kingdom through millions of years of struggle and death. In such a worldview, there is no objective standard of behaviour from which to depart, so the idea of “sin” loses its meaning. Thus, what sense can there be to the Gospel? All of this is why Creation Ministries International fights this battle for the “issue of issues”, the truth and authority of the Bible, at the foundational level, the level of Genesis creation. 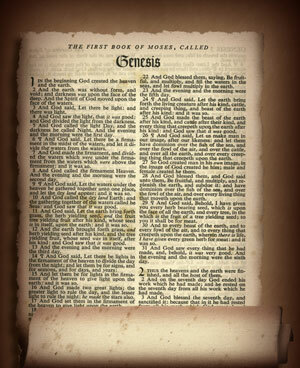 If this history in Genesis is unreliable, then the Bible does contain error, and all the rest collapses anyway, even if it takes a few generations to wake up to that. Genesis is also where the battle rages fiercest, and the attacks come the hardest. This is unsurprising, because it is the seedbed in which the doctrines of the gospel are all firmly planted.5 If the Gospel is about anything, it is about God’s solution to the problems of sin and death. And if there is one overriding theme to Genesis 1–11, in addition to the simple fact of God as Creator, it concerns the origin (and hence the meaning) of these problems, sin and death. Genesis also reveals the Serpent’s ultimate strategy which continues today—to cause people to doubt the truth (and hence authority) of the Word of God: “Yea, hath God said … ?” Did God really say that? This article was very slightly adapted from one published in CMI’s Update (sent to those who have demonstrated their support of the ministry) in November 2009. It’s important here to note that we’re talking about errors, not just something that omits a trivial detail, for instance. For an example of an outright error: if fish really did appear before fruit trees (as long-age philosophy demands) then Genesis, written as historical narrative, is making a false claim about history when it states the opposite. Return to text. Scribal errors in copying manuscripts do not count, of course. For example, see Cainan: How do you explain the difference between Luke 3:36 and Gen. 11:12?. Return to text. See creation.com/jesus_bible. Return to text. See creation.com/gen-hist. Return to text. See creation.com/seedbed. Return to text.